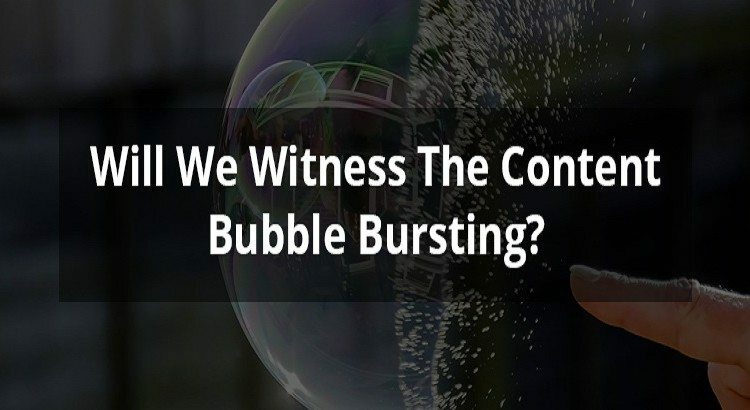 Will We Witness The Content Bubble Bursting? Bubble! That one word scares the hell out of anyone, especially The Wall Street self-proclaimed peers. HA! Things that go up are meant to fall at some point. The stableness has its breaking point and things tend to fall apart and that’s called bubble burst. From housing sector crashing in the US in 2008 to the dot-com bubble that cost nearly $5 trillion loss to the market, the market situations have taught us a lot about the ongoing market value and how to use the history and predict the future. 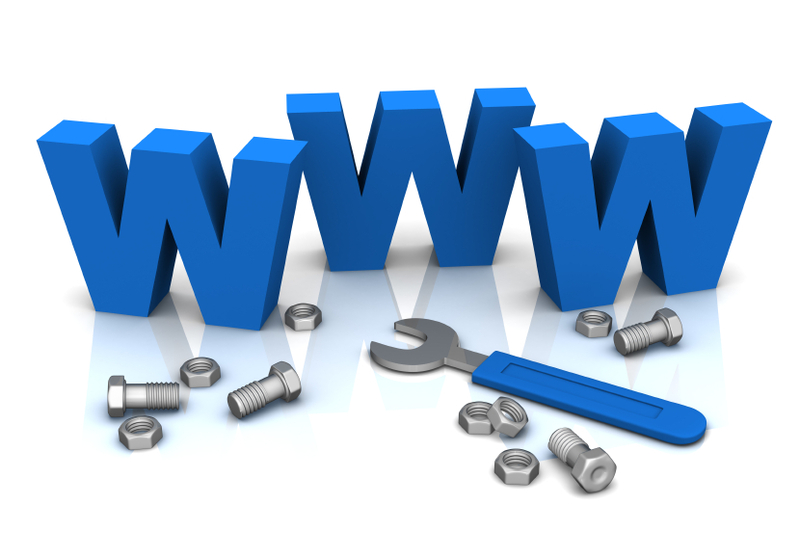 When the internet started gaining popularity, nearly everyone at the next door was launching his website or business. People earned thousands of dollars just by selling domain names. However, it didn’t last and with the introduction of new TLDs, dot-com business took its toll. A lot of people still prefer dot-com extension because it has become the face of the internet. Now there’s a buzz going in the market regarding the content bubble. On an average, every second, 17 blog posts are published on the web. Can you imagine the total number of blog posts publish in an entire day when nearly every business online is joining the content bandwagon? Imagine the overflow of information around us. Just like the stars twinkling at the night that covers merely 1% of the entire Milky Way, the information on the web that we can possibly imagine, is just the glimpse of the content. This idea has upset the market regarding the content bubble in the coming future. Nearly everyone who can access the web thinks himself as a blogger. Just merely setting up a free blog account and posting junk won’t make you a professional. It’s only worsening the entire market because it’s hard to find the meaningful content that takes the time to search. Now the question that stifles everyone is that, are we moving toward the saturation point? The content bubble will likely to never burst. WHAT? Good news, isn‘t it? However, we will see the shift in the market and companies. Bloggers will have to shift to the new era that will value high engaging content around less competitive keywords that can boost web rank of the site and drive followers to it. It’s a universal truth that nothing is important than the content, especially in the age of information. The web content helps the owners to optimize their sites in search engines and boost their credibility, sales, and what not. Hence, the content industry is not going anywhere. But with time, it will change and will adopt strict measures to bring out the most relevant content forwards, pushing back old, useless and crap written content. Maybe, Google is working on such algorithms that will detonate all the outdated, useless, non-SEO friendly, plagiarized content from its search engine. It will be a good idea to throw that to the unending limo. There’s a huge difference between dot-com bubble and content bubble. The difference is that we are smarter and intelligent than ever before. We are right now the finest product of evolution and gaining clarity of different things. 10 years ago, digital marketing experts were flooding article submission websites with content to possibly gain ranking as Google was sluggish in its algorithms. Many people optimized spammed links and boosted their bank balance. But when Google introduced Panda and Penguin algorithms, things changed. Infected and unhealthy links were deleted as soon as they were created and indexed. Content played a good role then and it’s playing a good role, today, too. Only, we fail to comprehend what the real meaning of the content is. We think just mincing words are enough, that’s it. Most successful content marketers are producing meaningful content that assists their readers and offer solutions to their problem. Quality wins over quantity any time of the day. We have seen those days when encyclopedia was the main source of our information to the age of smartphones’ when the entire information ever produced in our hands via the web. Mind blowing thing, isn’t it? The content bubble will never dry up but will have a huge shift on how we react to it. Hence, it’s better to load your gun to embrace the shift in the coming future, rather than preparing for the apocalypse. The listicles are now turning to dust. Nearly all media companies are busy copying each other and producing the nearly same type of content. Many are producing useless listicles, ‘how to’ articles that are now looking like an overdose. Yes, the overdose. Sending the new shift in people’s taste, BuzzFeed is trying to produce long-form content that can remain evergreen and can give them SEO benefit. Prime example here is LifeHack.org that works on evergreen and informative content. It takes time though to produce. The secret of successful writers producing great content is that they read more than the rest. They understand what is working and what is not, and what is still left to product or least to produce an article that hasn’t been written million of times. It’s the ability of the writer to create a unique content that can stand out in the crowd. See this way; there are many fantasy films that have been produced in the last few decades, but ‘The Lord of The Rings’, adapted from J.R.R. Tolkien’s novel, always stands out from the crowd. It’s because the content is presented in an engaging way that captures various human emotions, connect with the audience on a deeper emotional level, hiring right actors, sharp direction, touching music and so on. If you know your audience, you can create better content. Peter Jackson knew who his audience was before scripting and directing ‘The Lord of The Rings’ that led the trilogy to bag 17 Oscars collectively, highest by any trilogy to date. Right now, everyone who’s on the web is heavily dependent of the search engine’s relevancy for finding desired information. Search engine giant, Google Inc., has made its algorithms in such a way that the content having keywords relevancy ranks better and show in the search results. But imagine if everyone’s article is completely relevant then how will Google manage all such things? Of course, the idea of increasing more than 10, seems cluttered in itself. No, it’s not. Google will see other factors rank the page. There are over 200 factors, which Google considers. 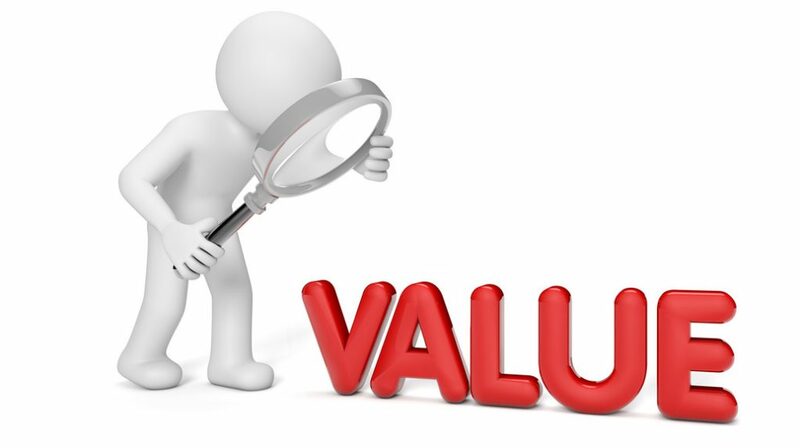 Maybe, Google will start seeing site’s worth, like how long a person stays on the website, a number of followers across various social media platforms, how much people engage with your posts etc. You just never know. Just imagine the outcome if Google starts doing it tomorrow. People will go mad and start producing less content, but very valuable. Those who produce for the sake of producing will halt the process and leave the bandwagon. They would know that it’s time wastage to mince words anymore. There’s an-going debate among the industry peers regarding the word count. Some say long form content is the future, while some say, short form content is the key to success. Actually, both are right in their respective places. Since our attention span is shrinking rapidly, there’s an increasing challenge to produce engaging content that can hold readers to complete reading the article. It’s probably very hard for even experienced writers because it’s hard to predict what people will love to read and what not. BREATHE! Hold your horses. It’s nothing, but dynamicity and it strikes everyone. New things will change the game, if Google updates its algorithms and starts ranking websites lower that aren’t having good content for readers to stay for longer duration. So the scenario can change to – longer the readers stay on your blog, better the ranking. If this happens, then we can witness the fall of millions of blogs that publish content for the sake of having content on the website. There will be a dawn of finding stellar content easily on the web. Moreover, write according to the nature of the article. If your articles need to be long to detail all the things for better understanding, then write it; otherwise, keep it short if the meaning is conveyed in less world count. There’s no hard and fast rule to write every blog post, a gigantic one. Just as I become from being a beginner to industry professional, you can do it too. All you need is the right knowledge to pass through the tunnel, and feel the freedom. When I was an amateur to the web development world, I had similar questions like the most people have. What‘s actually web development is? What’s the difference between WordPress Development and Magento Development? What’s the difference between front-end and back-end development? But, I got answers to my questions as I explored the niche. The cloudy thoughts became crystal clear and I allowed the sun to shine. Use HD images to create visuals. Take real life example and influence your readers. Use GIFY to have some entertainment. Use screenshots to illustrate your point. Use headings for different paragraphs, bullets, sub-heading etc. to make it more appealing and readable. However, be ready to embrace the change. The content industry keeps involving and it will change in the near future. I can’t exactly say when, but it will. Sponsored content technique is spreading like the wildfire and its encouraging companies to leverage the importance for the business growth. By 2018, the market of native advertising will grow to $21 billion. That’s an outrageous amount, if we consider, how much top blogs that have a good reputation will earn, just to publish the sponsored posts. Fb’s new policies regarding sponsored content shook up the industry because those appear different than the regular posts. However, the question is, will the users care? It’s better to create an informational piece of content for customer’s reading delight and enhance your brand in such a way that they see your blog as the place for having solutions to their problems. I mean, who doesn’t have problems in this world? So the content that offers value and companies that emotionally connect with the targeted audience will leverage the benefits of sponsored content. Let’s just say, there are a lot of people that remain confused whether to buy a premium theme for their website development or pick a free theme and start from the scratch. Moreover, they remain confused in terms of selecting the best platform for their website. Most don’t understand difference among various CMSs and why WordPress Development is cheaper than Laravel development? Today’s smartphone-centric generation loves consuming video content. By the year 2017, 70% of content will have a video form. It can be a 10 seconds video to engage readers, but it will certainly have some incredible revolution in the industry. Facebook Live videos have really changed the video content industry. Brands are leveraging the platform to connect their followers on a continual basis. They are doing their best to entertain them, too. Moreover, FB’s live videos rank higher in news feed, and it gives you an edge over written content to engage niche audience and share your message. Nowadays, many companies, especially media companies are using this technique. Celebrities aren’t behind, too. Undoubtedly, FB Live Videos have really changed the industry. YouTube is loading its gun to join the bandwagon with bigger force. We have to see what new will be seeing the idée content world. At-least, we are having entertaining content to consume.